The eight-year-old jumped five fences in Newbury's back straight under Barry Geraghty on Monday. "It was a massive step in the right direction," said trainer Nicky Henderson. He hopes the horse will race in the Clarence House Chase at Ascot on 17 January. 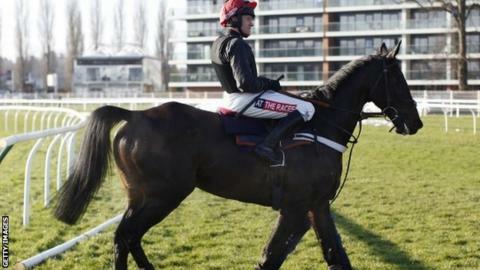 Sprinter Sacre was rated one of the most brilliant chasers, winning races at the 2013 Festivals at Cheltenham (Queen Mother Champion Chase), Aintree (Melling Chase) and Punchestown (Champion Chase).